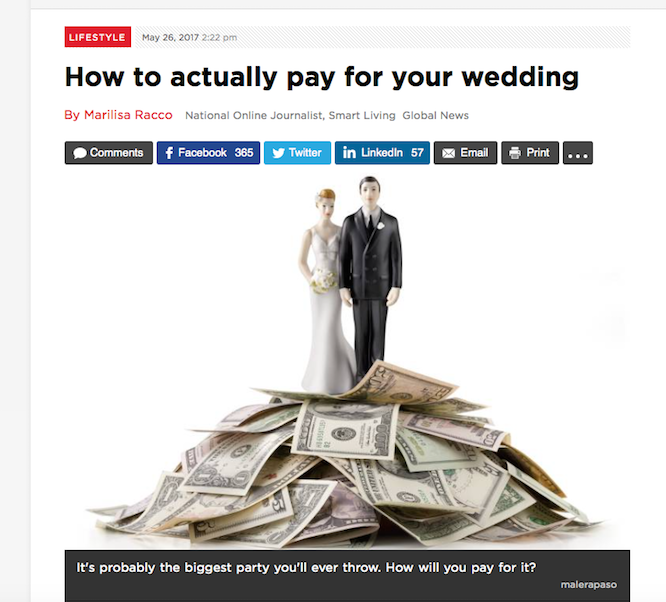 In the Media – Global News: How to actually pay for a wedding | Luxury Toronto Wedding Planner | Devoted to You Inc.
We were interviewed by Globalnews.ca on the topic of How to actually pay for a wedding. We are going to share all the tips and tricks in more detail that we provided for the article to help you on how you can actually pay for your wedding. What’s the first thing couples should consider when budgeting for a wedding? As a couple, openly discuss what you think are the most important elements that you want in your wedding. Splurge a little on the items that are most important to you or most noticeable by guests attending and save on things that are you don’t care much about. Also, start building your guest list of must invites, maybes and not inviting. Your guest list is one of, if not the biggest variable cost to your overall wedding budget. Food and beverage will likely cost around 50% of your overall wedding budget. See our previous post on kick start on wedding planning and choosing the perfect venue for your wedding. Other variable costs to consider which are ultimately dependent on the number of guests who will attend: Wedding favors, Wedding invitations/stationery, Decorations (such as centerpieces, chair rentals, tableware and table linens, and Wedding cake, etc.). Consider speaking to a wedding planner/consultant to learn more about what is the average cost for a wedding and what is a reasonable price for each vendor categories.  Wedding planners can be hired by the hour for consulting services and you can pick the brain from the expert to get a head start. How much time should they give themselves to save up? I would say a good time frame should be about 12-18 months. Setting your wedding date a bit further away allows you to shop around for the vendors with availability on your wedding date and also space out the payments. It gives couples more time to save up for weddings since the majority of the payments with larger amounts are due closer to the wedding day. However, I don’t recommend booking any vendors over 18 months in advance because your deposit could be at a greater risk of not being returned. Vendors after all, are businesses, and there is less clarity of whether they will still be in business that far out into the future. What are things that can be cut in the name of saving money that won’t result in a ‘cheap-looking’ wedding? Things that are not visible to the guests would be my opinion. For example, transportation. Instead of hiring a limo that costs you $1000+, asking some of the bridal party members to drive is a big saving. However, it will take some extra effort to organize the drivers and passengers if you have a bigger bridal party. Another one is wedding cake. We often see leftovers cakes at weddings. Picking a less expensive wedding dress or a dress from previous seasons can also save you lots of money as well. Most guests can’t tell whether your dress is this year’s or last. What are the little things they can do month-to-month to save up? Little DIY projects such as making your own invitations and wedding favors can save you some money but requires labour. You can always make it a fun party with your bridal party to assemble invitations and putting wedding favors together. I wouldn’t recommend trying to make something that is too labour intensive though as it could backfire. After all, your bridal party is there to help you out, not work for you. Where should a couple never skimp on their wedding? Food and entertainment. Your guests may not remember all the details of your wedding, but they will always remember whether they had a good time. landing page photo by facibeni fotografia|ProPhoto5 WordPress Theme Design by Northfolk & Co.